Why do you need a Modern Landfill? Look around you. Is your car built the same way it was 30 years ago? What about your house? Your office building? The A/C units that keep them all cool? The chair you sit in? The desk you write on? Even the pen in your hand? In every case, the answer is no, because all these industries have benefitted from advances in modern technology. It’s only natural for industries to evolve. In nature, a species that does not adapt becomes marginalized or ends up extinct. The same happens in the industrial world. Rare is the industry that has resisted the move forward for 3 decades. But waste landfilling is one. Odds are that your landfill operates basically the same way it did 30 years ago. You may have bigger, shinier, more efficient dozers and compactors, but the way they push, pack, and cover the waste at your landfill is probably similar or exactly the same. Why is this so? Modern Landfill Engineering Services doesn’t think that way. In fact, Modern Landfill operators should take personal when someone refers to their facility as a dump. Some wonder what the difference is–a dump is an uncontrolled mess with no organized plan or development, while a proper landfill is an engineered system designed to protect human health and the environment. Thirty years ago all landfills were basically dumps, but today most landfills have taken the first steps forward, using some technology to improve. However, almost all of them have a long way to go. ML has spent the better part of the last decade applying modern technology to operations at the largest landfill in Texas and one of the biggest in the U. S. While there, ML developed money-, resource-, time-, and labor-saving techniques to process the 5,000 tons of waste that arrive each day—a figure that climbs to 8,000 to 10,000 tons per day during busy periods. Let ML Show you what Modernization can do for You! ML’s unique approach combines survey-quality GPS grade control and optimal use of computer technology for operational analysis (including tailor-made software packages) with sound engineering principles to modernize your landfill. 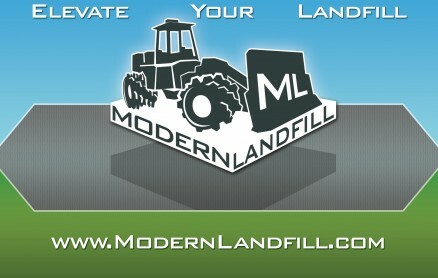 ML can show you ways to run a Modern Landfill that will guarantee immediate savings in costs, time, labor, and resources. In the end, you’ll stop asking why you need a Modern Landfill and start wondering how you can live without one.